Exceptional service, a different experience every time. The Transporter takes pride in service. We are all about having a hassle free, great time. Our booking process is second to none with a booking time of 2 minutes. Our interest is making sure your party is organised with minimal effort. We understand our guests and recognise organising a party doesn’t always go to plan, we work with you to make it hassle free, to keep the party going. Who wants a party bus with harsh rules and an uninterested driver? All our drivers are awesome, flexible and share our vision of making The Transporter Perth the best in the industry. We have become one of Perth’s largest players with a simple vision of understanding our customers, backed with exceptional customer service, creating the best atmosphere hands down. 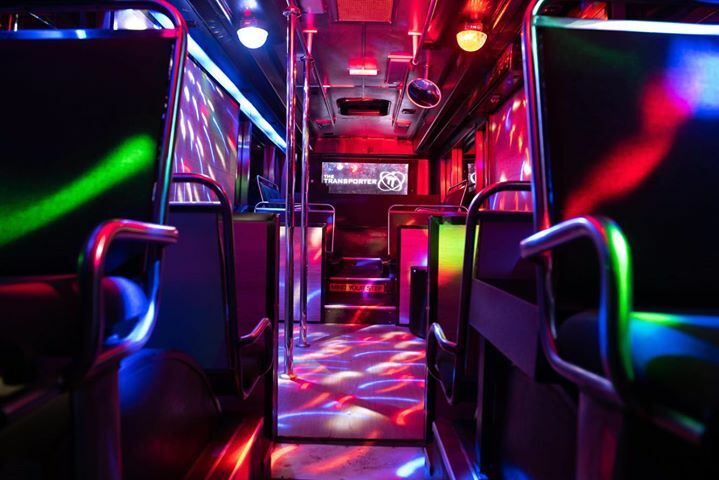 All our party buses are equipped with night club light and sound. 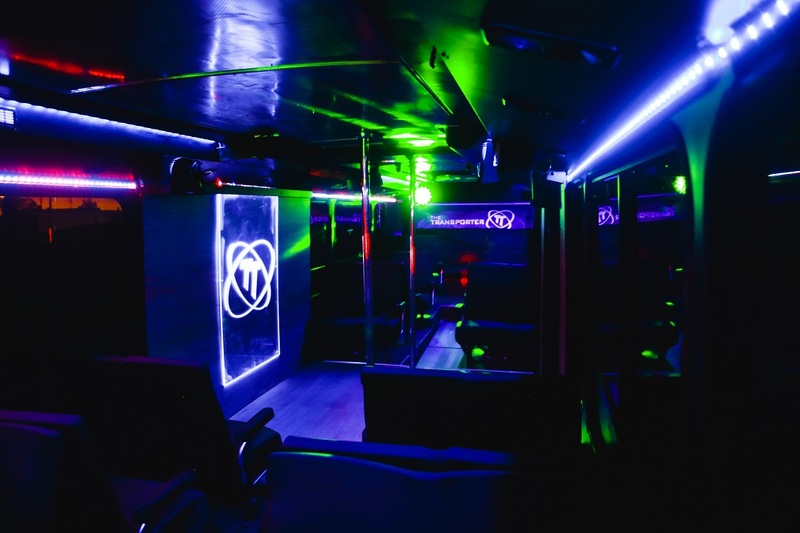 Each Party bus is unique and your booking is completely customisable to suit your tour. We are the only company to have over 100 unmatched five star reviews. Our drivers have one goal during your tour; that’s to make it as pleasant for you and your guests. 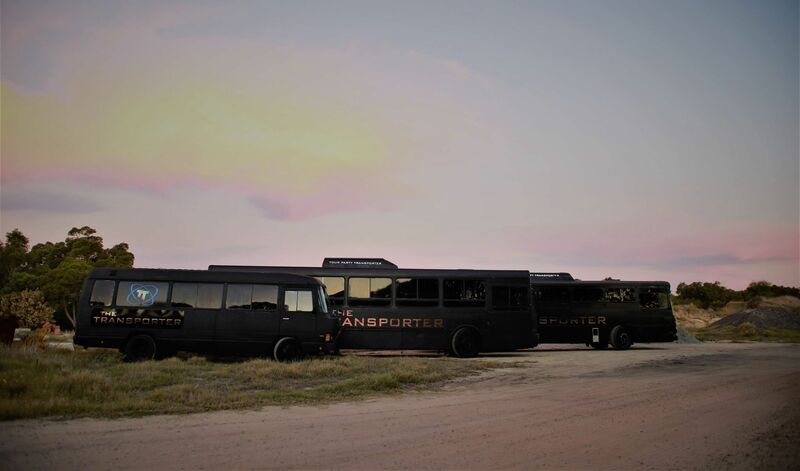 Our fleet of party buses suit any occasion from 8 to 110 guests, on our 20 – 45 seater party buses. Graphite is our standard seating party bus. Comfortable lovers’ seats, with big bass sounds. Onyx the smallest of party bus family. 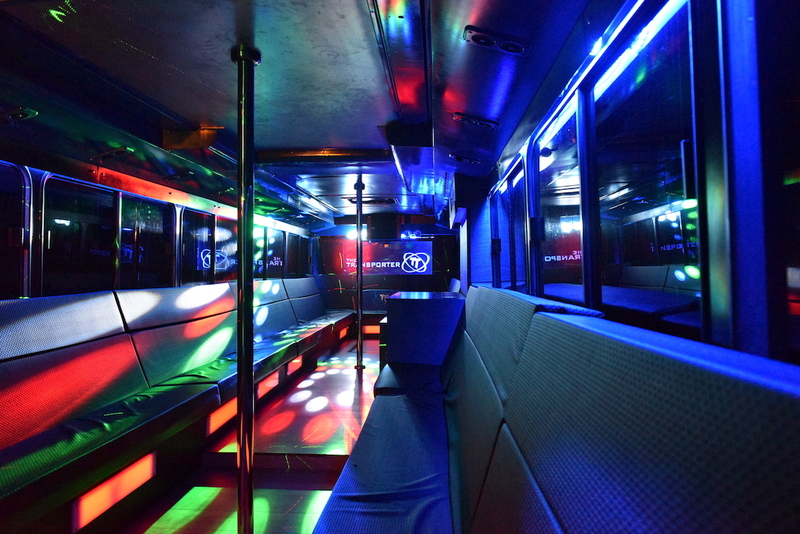 Onyx is equipped with dance pole, limo seating and big bass, nightclub sounds. 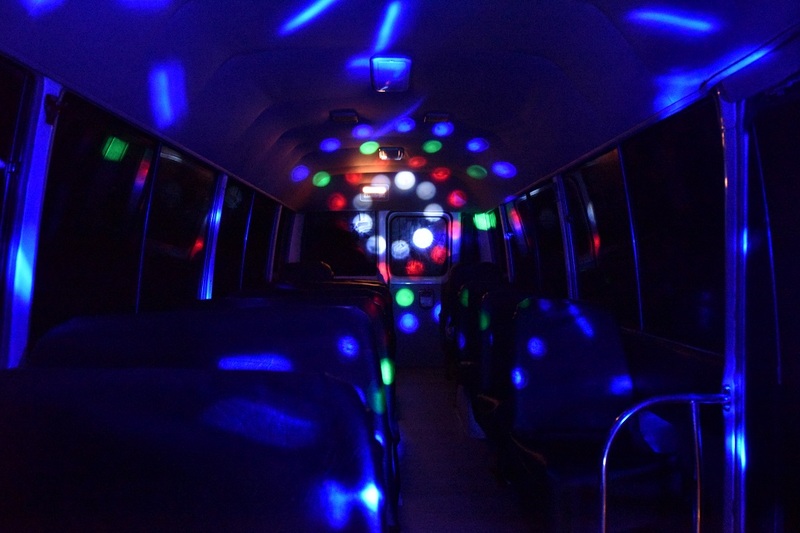 Kruizer is our medium sized party bus for hire. Our second in line to the orignial fleet, Kruizer’s dance floor lets you get loose! Ultra gives you a unique booth style seating with a central dance floor, dance poles and huge sound. Titan is our big and bold party bus. Limo seating party bus for your bigger party groups. 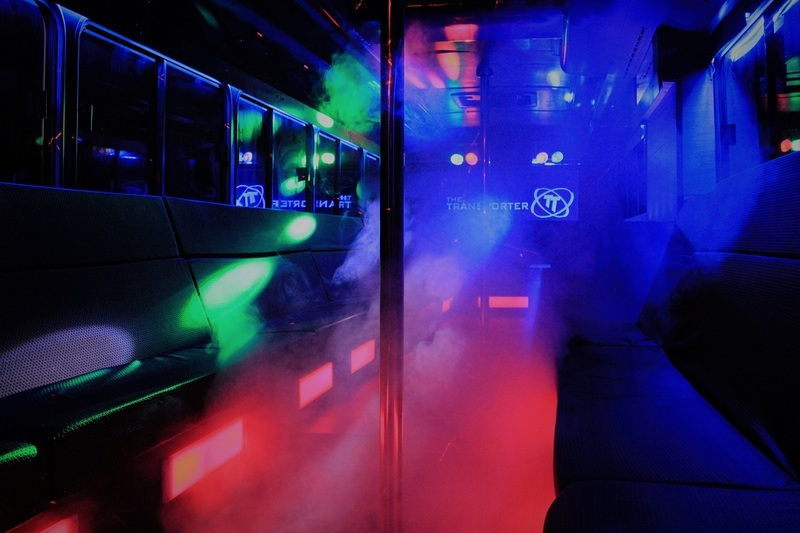 Luxe was our first party bus almost 2 years ago. 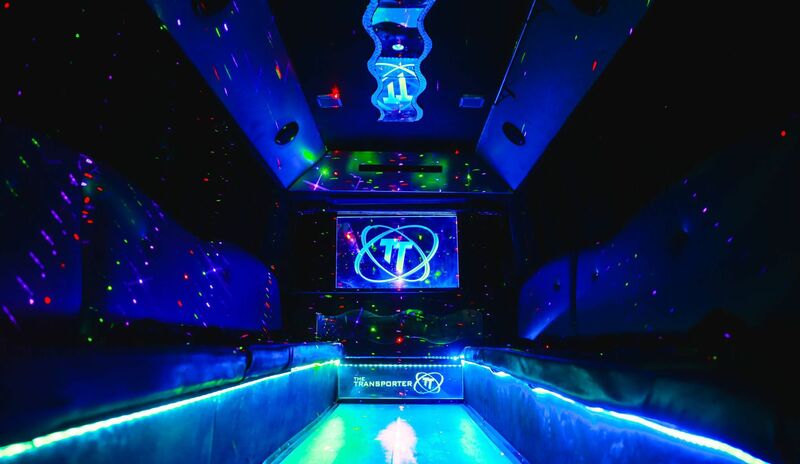 Setting the standard in limo seating, lights and big bass nightclub sound on a party bus. The Transporter takes pride in service. 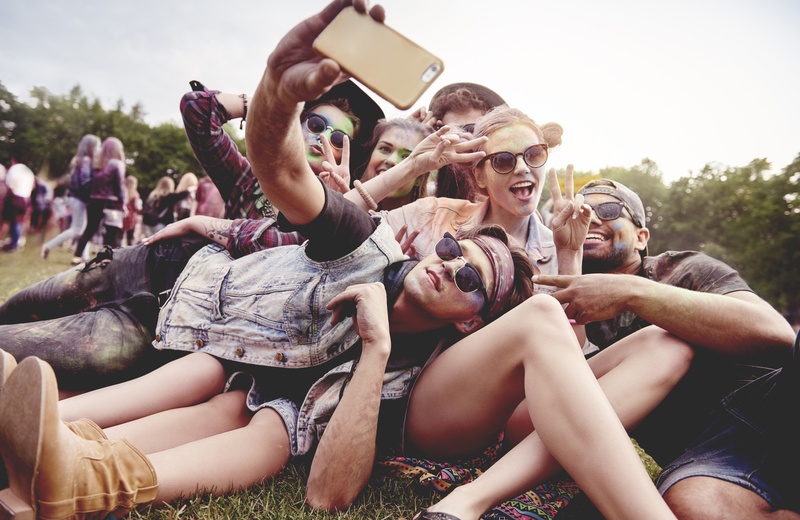 We are all about having a hassle free, great time. Our booking process is second to none with a booking time of 2 minutes. Our interest is making sure your party is organised with minimal effort. 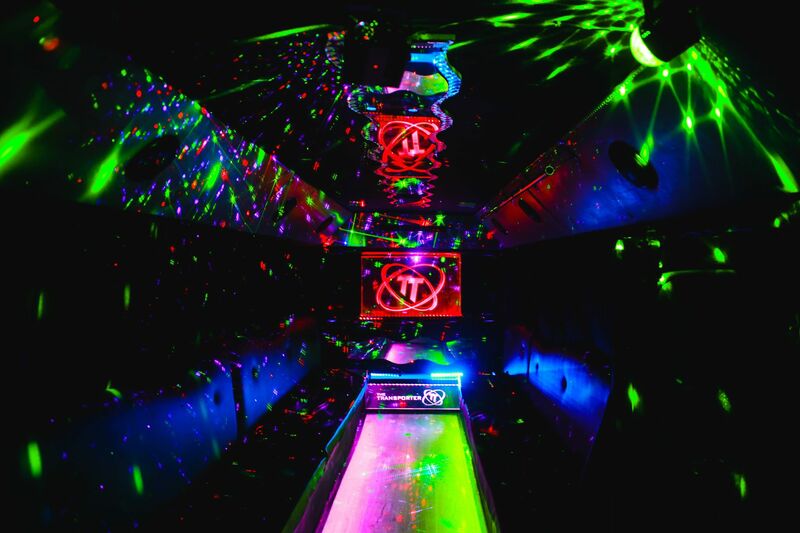 Join the fun on Perth’s best Party Bus. 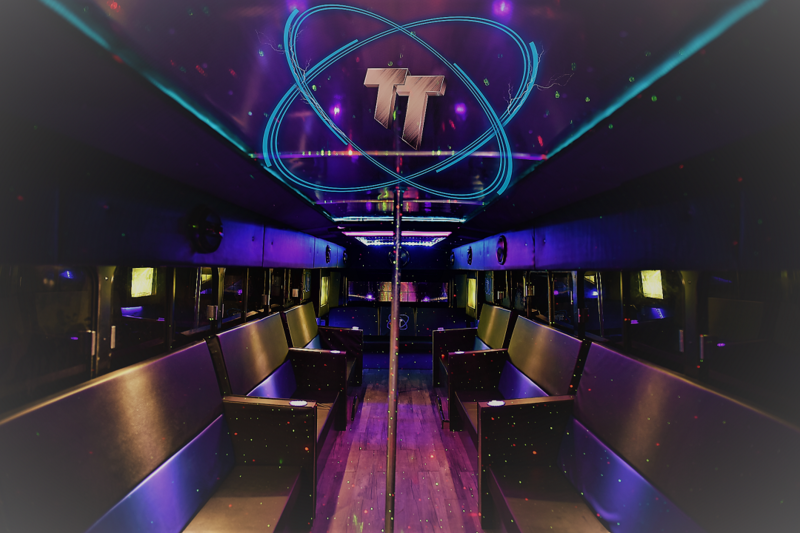 The Transporter Perth Party Bus Hire, for any event. Got an existing quote? Contact us for our promos. Every trip, our customer service won’t be beaten. Manage your bookings online. Keep up to date. We pride ourselves on making your tour AMAZING! Specialising our services to suit your needs. Have a better quote? Contact us to discuss. 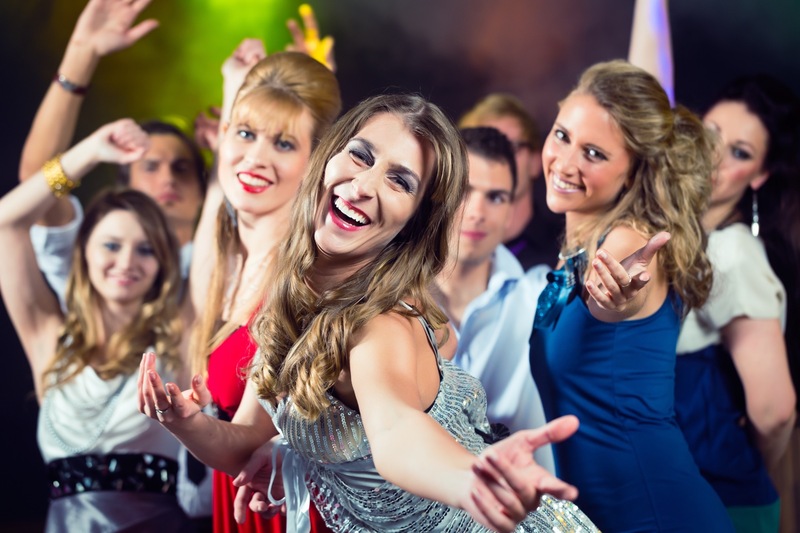 Get your party bus hire done quickly. Simply click get a quote and get your tour organised. 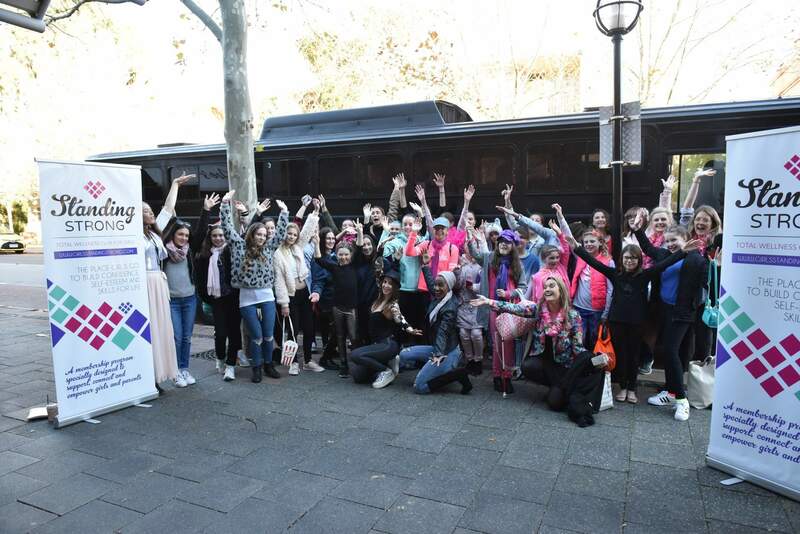 The Transporter Perth – Party Bus, Wine Tours and Special Events in Perth.